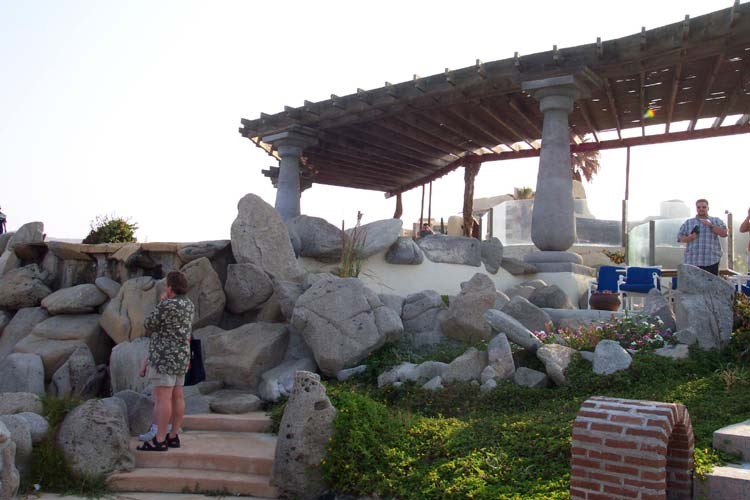 View of the resort’s restaurant. 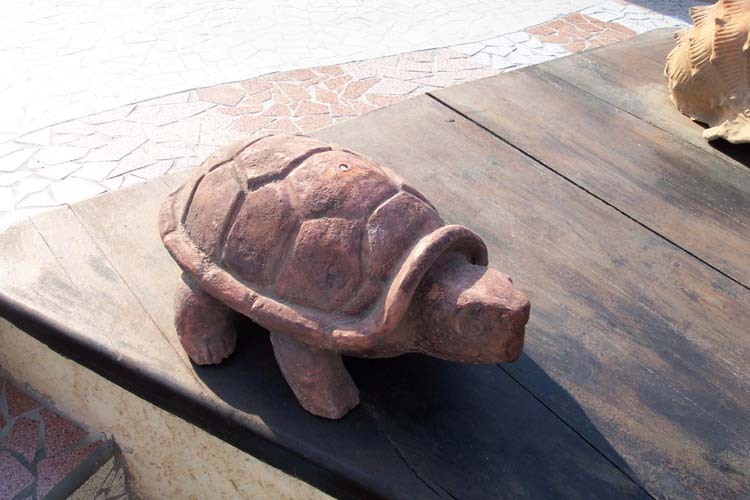 One of the many terra cotta figurines that decorated the resort’s restaurant. 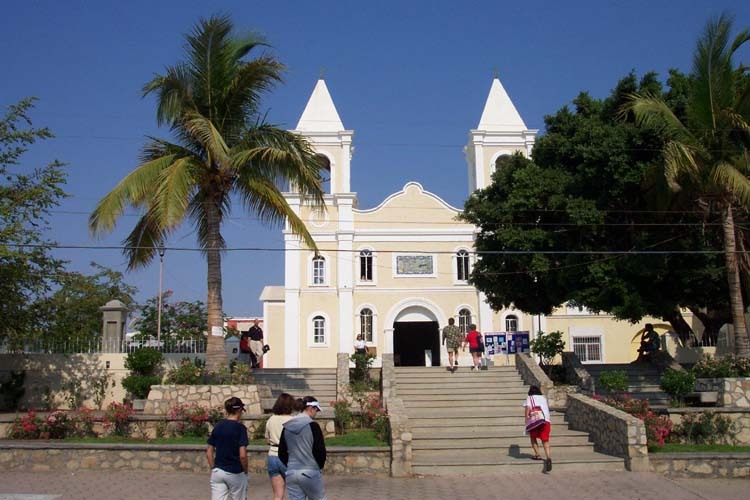 The next stop was San Jose del Cabo. 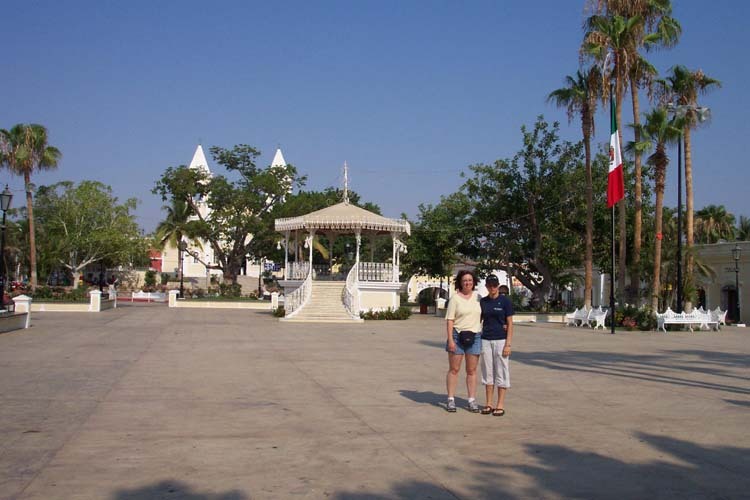 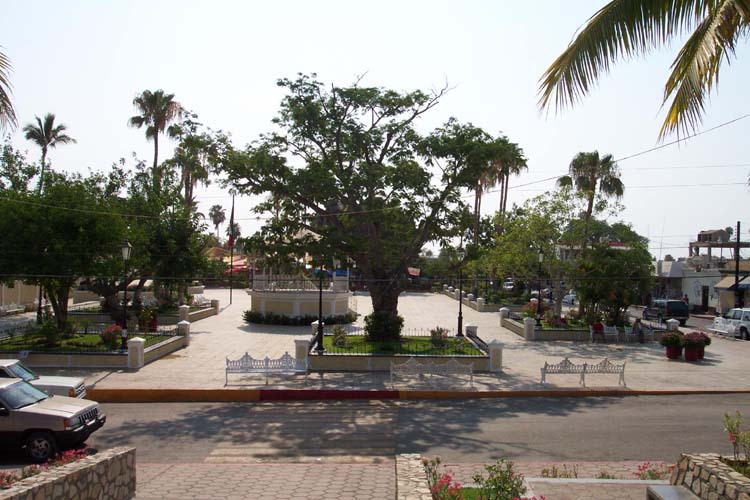 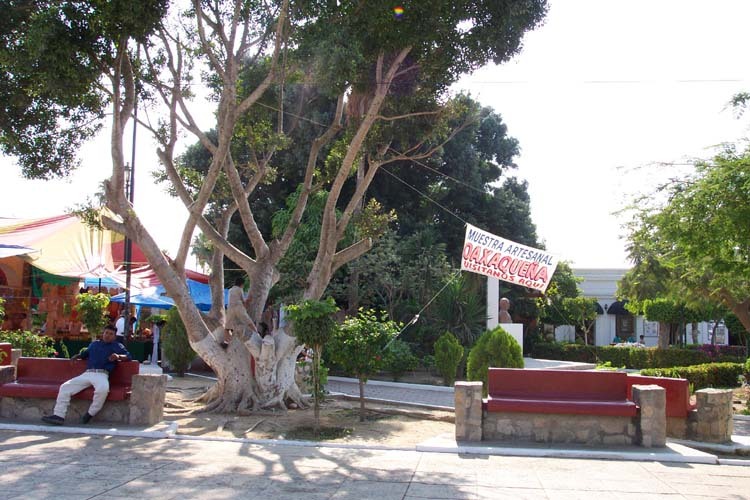 The town square in San Jose del Cabo. 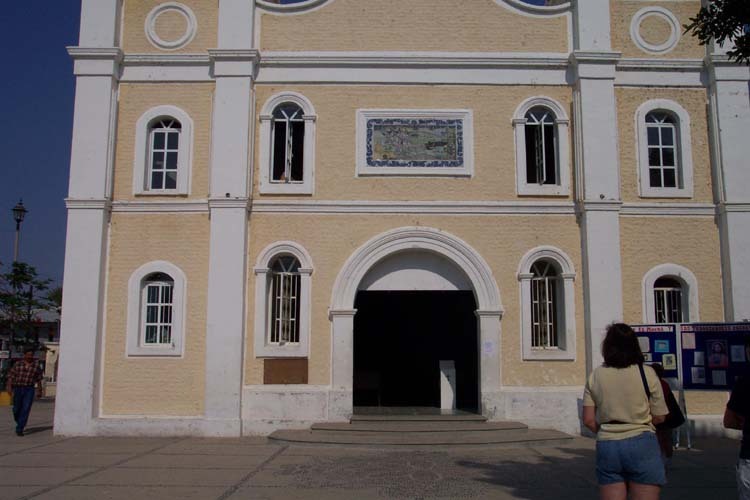 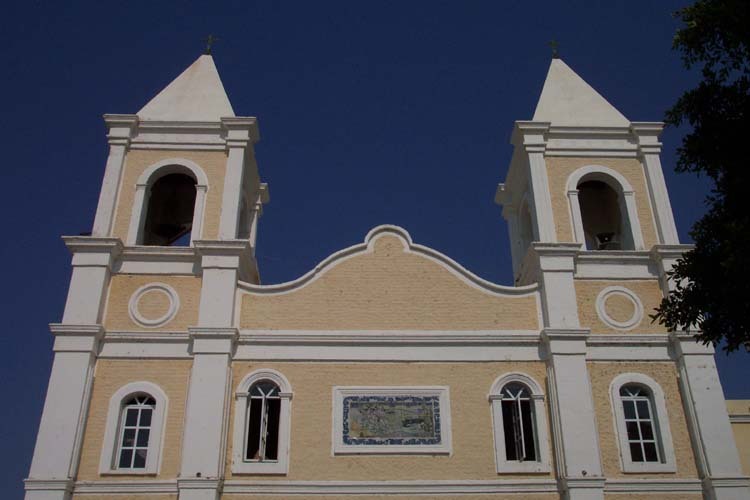 The mission church in San Jose del Cabo. 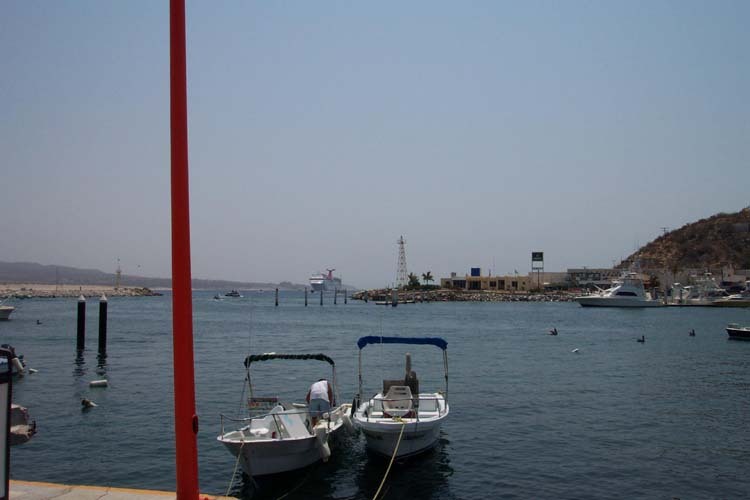 View of the Cabo San Lucas harbor.